In this week’s blog, I refer to: Local Authority Housing Finance; Theresa May; Conservative Party conference; Local Government Association; Lord Gary Porter; Ministry for Housing, Communities & Local Government; HM Treasury; Inside Housing; Philip Hammond; Budget 2018; Right to Buy; Appleby Town Council; Seminars & Training. I am writing this blog on the train as I travel to London in advance of our seminar on ‘Developments in Local Authority Housing Finance’. The announcement contains no detail and to abolish the ‘borrowing cap’ will require primary legislation. Will there be any caveats or conditions and when will the ‘borrowing cap’ be lifted? Lord Gary Porter has already referred to the borrowing only being available for ‘additional units only, particularly on mixed tenure developments.’ Remember that the additional funding recently announced for social housing will only be available from 2022 – after the next general election! I am not sure what is meant by the ‘amount of borrowing (being) contingent only on how many use it’ as this does imply some sort of controls. In its report ‘Let’s Get Building’ the Local Government Association calculated that abolishing the ‘borrowing cap’ would result in local authorities borrowing £7billion to build 60,000 homes. How does this reconcile with the current suggestion that councils would borrow £1billion and build 100,000 homes? Ever since ‘self-financing’ was first proposed by the Labour government in 2009, successive governments have insisted that it is necessary to limit local authority borrowing for housing purposes because of the Treasury view that this is essential for macro-economic management. It has been suggested that this is an attempt to maintain demand in the face of an economic downturn caused by Brexit. However, it is reported in ‘Inside Housing’ that the Treasury is thought to be unhappy about the policy. What is the Treasury’s position now? The government published detailed proposals for a limited scheme for raising the ‘borrowing cap’ as recently as June that was confirmed in the social housing green paper as recently as August. The green paper confirmed that the government was not considering raising or abolishing the ‘borrowing cap’ Has there really been such a dramatic shift in their thinking since August? The only thing that I think is certain is that the government is making up housing policy ‘on the hoof’ and that can’t be a good thing. I tend to believe that if something sounds too good to be true it probably isn’t true. I would be delighted if the ‘borrowing cap’ was abolished but I think some of the celebrations may be a bit premature. Reading between the lines, I suspect that what may emerge is a policy that allows councils to use housing revenue account resources to support borrowing to fund mixed tenure developments in which social housing will represent only a small proportion of the stock. This would be consistent with Lord Gary Porter’s comments and would provide more homes in total than the 60,000 social homes that the Local Government Association calculated that the policy would deliver. It would also help to maintain demand in a Brexit-induced recession and help to reverse the decline in home-ownership – both objectives that are important to the government. However, many in the sector would not welcome the lifting of the ‘borrowing cap’ in this way. 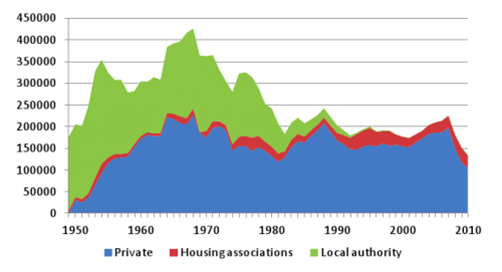 The other big issue that local authorities often raise with government is whether ‘right to buy’ should be discontinued to protect the social housing stock. This wasn’t mentioned at the Conservative conference. Can we expect Philip Hammond to announce this as part of his budget next month? I think not! Our next seminar is: ‘All You Want to Know about Local Authority Housing Finance’ and will be held in London on 6th November 2018. As usual, this seminar is proving popular, but we still have a few places available. This seminar is designed to give an introduction and overview to this important subject and is fully up to date with all developments. It is designed for people who are not experts in housing finance, but who need to understand the basics and achieve an overview of what is going on. It is suitable for councillors, housing managers, tenant representatives, finance staff who have limited experience of local authority housing finance and others who realise that an understanding of housing finance can place them at an advantage! 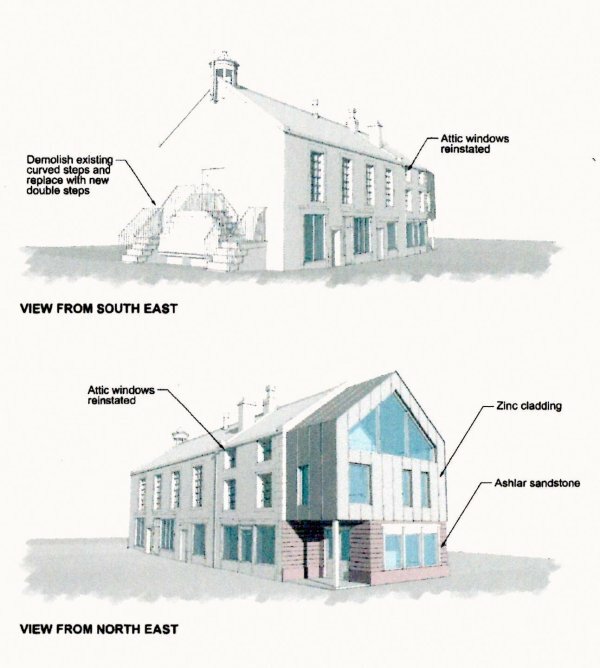 Appleby Town Council are consulting over options for the historic sixteenth century Moot Hall all of which involve building a modern extension. However, in my view none of them are consistent with good conservation and none would achieve the objectives of the Heritage Action Zone. I have therefore written to the Town Council to register my objections.